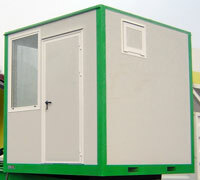 Control cabin may be mobile or fixed, set on a trailer or independent. All of them have got air conditioning, PC computer unit and console for plant control. The operating system may be centralized or set inside the electrical box trough PROFIBUS technology.